Many home refrigerators have the freezer at the top and the refrigerator compartment at the bottom. This arrangement is handy if you use the freezer frequently but can make it difficult to reach items in the crisper. Alternative refrigerator arrangements include side-by-side freezers and refrigerators with freezers on the bottom. Each of these appliance types has its own benefits, as well as a few problems. Side-by-side refrigerators are often less efficient than bottom-mount appliances. Both bottom-mount and side-by-side refrigerators are less energy efficient than a conventional top-mount model. However, bottom-mount freezers use less energy than side-by-side appliances. According to the US Department of Energy , a bottom-mount freezer without an ice maker averages around 551 kilowatt-hours a year, less than a side-mount refrigerator's 6057 kilowatt-hours. Appliances with through-the-door ice makers average 560 and 608 kilowatt-hours respectively. Refrigerators with a bottom freezer offer the convenience of an eye-level refrigerator and make it easy to reach vegetables and other bottom-shelf foods. However, the freezer on a bottom-mount appliance is harder to reach. These appliances are best for people who use their freezers rarely. Side-by-side models make both refrigeration and freezer compartments easy to access, but their narrow doors can make it hard to store a pizza box or other wide objects. Some features, such as in-door water and ice dispensers, are readily available in side-by-side refrigerators. According to Consumer Reports, these machines also frequently feature individual temperature and humidity for the bins and rapid ice-making features. Bottom-mount freezers tend to be more basic and can be hard to find with special features. Some refrigerators with a bottom-mounted freezer have French doors on the refrigeration compartment for easy access, but these appliances can be costly and hard to find. Side-by-side refrigerators may not provide as much space as their capacity suggests. According to Consumer Reports, only about 65 to 70 percent of the space inside a side-by-side appliance is usable. The tall narrow compartments also make it hard to reach objects at the back of the fridge. You may need to buy a larger side-by-side appliance to get the same amount of storage space as in a top- or bottom-mount refrigerator. Bottom-mount appliances have more usable space inside, but can be difficult to find in narrow widths. 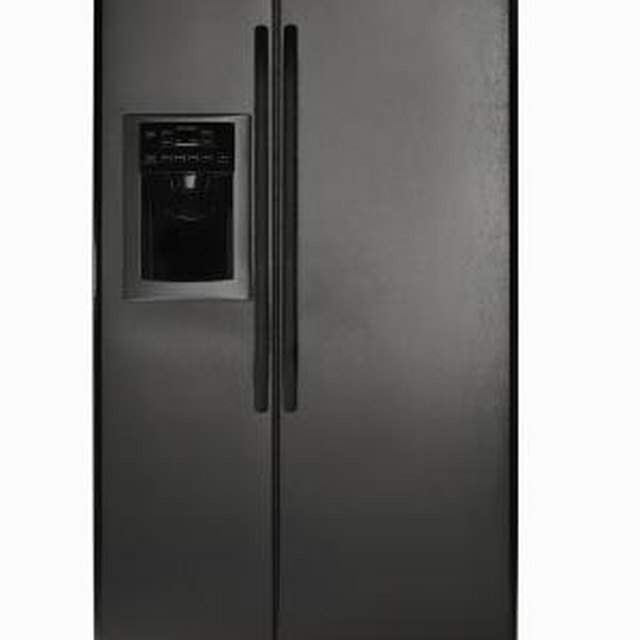 How Big of a Refrigerator Should I Buy? Are Fridges With Two Compressors Good? What Are the Whirlpool Refrigeration Specifications?